Rubber floors are slip-resistant and also impact-resistant. Since it is springy and flexible, it acts as a cushion or absorber against impact thereby minimising the risks of serious injuries in case of falls from the playing structures. The slip resistant property is useful in areas receiving lots of precipitation and also helps children slide down slick surfaces. Children love bright colors. Businesses as well brand their products. Rubber floor mats are numerous and in varying styles, thicknesses and color. They are also available as interlocking mats or rolls. They can be customized in various designs and colors to create inviting spaces kids to enjoy playing on. Since rubber absorbs sound, rubber tile mitigates the issue of noises. Rubber absorbs sounds rather than reflecting it, therefore, it is the excellent flooring material for highly populated places where people are either working or sleeping during the day time as it will ensure no disturbances such as those of kids playing. The noise of children is not entirely eliminated but it is significantly minimised. Rubber floor mats repel dirt and are also stain resistant. They can be easily maintained with a simple routine care of sweeping the surface with a broom to get rid of debris regularly or using water and mild soap to clean the mats. 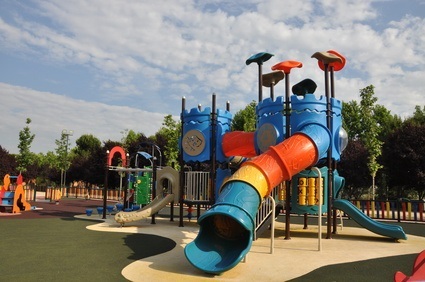 Rubber playground tiles are really durable, frost-proof and UV resistant. They are not only long lasting but can also stand many years of play and abuse. Rubber is not easily damaged, it maintains its shape despite how tough the kids can get on it. This also makes it ideal especially money wise as they won’t have to be replaced every now and then. With its many advantages, rubber playground tiles are indeed gaining popularity as the perfect flooring choice in playing areas. When looking for rubber flooring option, consider getting a specialist who will give you fully comprehensive information for you to make the right selection. We partners established flooring companies in Singapore to provide outdoor rubber tiles with best quotes. Contact us to get your best quote for outdoor rubber tiles.